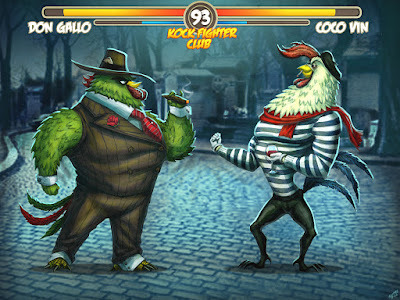 Artina Studio: Kock Fighter Club - HERE COMES A NEW CHALLENGER! Kock Fighter Club - HERE COMES A NEW CHALLENGER! 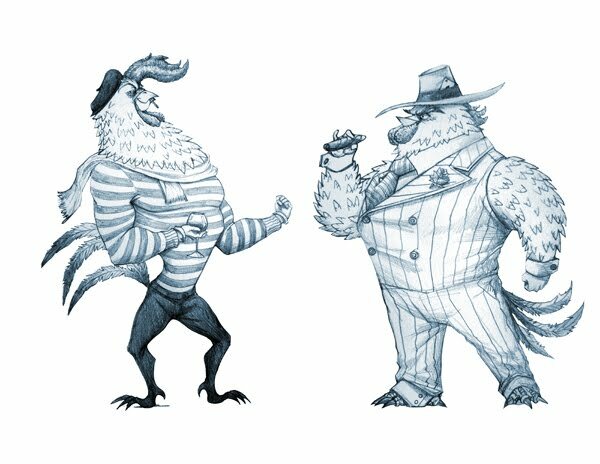 Here are a couple of more characters for my idea of the Kock Fighter Club (KFC). This is Don Gallo, the gangster rooster from Sicily. And Coco Vin, the french coq from the alleys of Paris. I hope you like them. I will work on a couple of more character sketches tonight. Hopefully I can develop at least 12. Hope you like them.